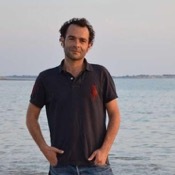 Traveler Reviews for Private Tour in La Rochelle, France by Tour Guide Romain B. About Romain B. Message Romain B. Our experience of the tour was great. The tour guide assigned, Romain, was very nice and taught us very interesting details of this magnificent city. We were a group of 10 people, with two old ladies and Romain could adapt the visit so that they were able to follow the group. Romain est perspicace et très sympa. J'ai bien compris l'histoire de la Rochelle. C'est une chance que je l'aie rencontré! The main thing that impressed us was that Romain was very responsive to our needs; he modified the tour as we requested, "on the fly". Very pleasant, knowledgeable; good mix of history, architecture, and anecdotes. Romain is responsible; he kept in touch with us by email to make sure we started our tour right on time. We highly recommend Romain as a guide to La Rochelle. What a wonderful experience. There are not enough superlatives to describe the historical tour guided by Romain. 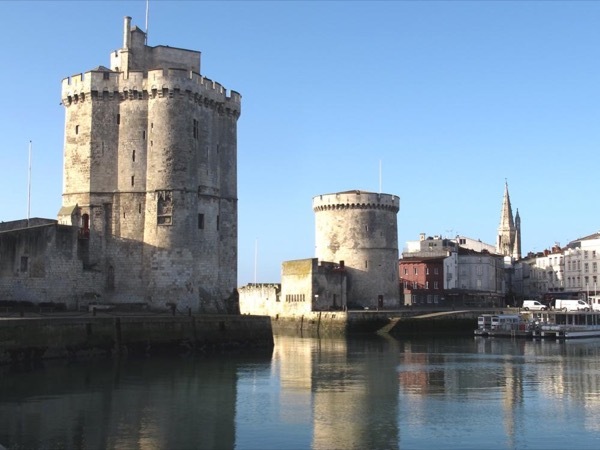 Romain has structured the tour so that you are guided through a historical timeline of La Rochelle. His commentary was always interesting and informative. He obviously has a deep knowledge of the history of La Rochelle and its architecture. If you are able to take this tour you should do so without hestitation. TOUR GUIDE RESPONSE: Thanks a lot for your review! I'm glad you enjoyed La Rochelle legacy through the tour we took. Have a nice stay in La Rochelle! TOUR GUIDE RESPONSE: Thanks a lot Josette, it was my pleasure to introduce you and your friends to La Rochelle legacy on your cruise stopover! Romain was an excellent guide which made for a wonderful day in La Rochelle! I would highly recommend him!! TOUR GUIDE RESPONSE: Thank you Lisa for this nice review, I had a great time too introducing La Rochelle to your family! A wonderful tour. We learned a lot about La Rochelle. Romain was organized, interesting, good humored, flexible and fun. He had clearly paid attention to our preferences and modified accordingly . What more can one wish from a guide! Romain was an excellent guide and I would highly recommend him. I was the organiser of a small group travelling to La Rochelle and Romain was happy to tailor a tour to meet our needs, he gave us a really interesting walking tour of the city with plenty of history and local interest stories. He has a warm and friendly style and was only too pleased to give us advice about what to do and where to go during our short stay. We couldn't have asked for a better guide, thank you Romain. TOUR GUIDE RESPONSE: Thanks a lot Russel! It was really nice to welcome you and your friends in La Rochelle, I'm glad to read that you enjoyed your time and your tour. I wish you the best!